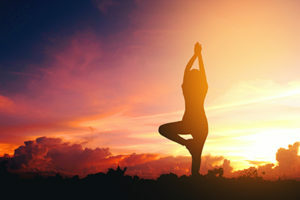 Integral Yoga has developed a Yoga Therapy Certification Program in accordance with the longstanding therapeutic teachings of Sri Swami Satchidananda. The program is currently under accreditation review with IAYT, the International Association of Yoga Therapists. Until Integral Yoga Therapy is formally accredited, we cannot be certain what the Program will contain in its final form. We are fairly certain, however, that some keystone Integral Yoga trainings will be among the Program requirements (R) for recognition as a Yoga Therapist by the IAYT. In addition, Integral Yoga will require an additional elective (E) to be certified as an Integral Yoga Therapist (IYTh). Even though the Integral Yoga Therapy program is not in its final form, we are certain of the keystone required modules/trainings and the additional electives. See these modules in the lists below. If you take one of these modules before the Yoga Therapy program is finalized, you may be able to apply it to the program under certain conditions. The mini-apprenticeship will require participants to identify a core principle of the training, and then apply that principle in a “practice session” with a friend or colleague in their home geography. That session will then be reviewed by the Home Center Manager/Adviser, and the student will document what they learned from the experience. The Certification Program module price will be credited to the cost of certification, but this is lower than the pre-Program price to cover the cost associated with the apprenticeship. These trainings below may be applied to the Certification Program if taken before enrollment. In the Restorative Yoga Teacher Training, you will explore the foundations of the rejuvenating practice of Restorative Yoga and learn how to share the practice with others. Restorative Yoga is the practice of placing the body into a specific Yoga asana (posture) using the support of props. Join Satya Greenstone for the Adaptive Hatha Yoga Teacher Training to learn how to accommodate students of varying levels and abilities. Would you like to share Yoga with those at risk for or living with heart disease, cancer, or other life-altering illnesses? Yoga of the HeartⓇ is an evidence-based blend of Eastern and Western therapy, which allows the heart to expand through compassion and a love for one’s self and others.